Mark Pollock’s story is one of true resilience and dedication. At the age of five, he lost sight in his right eye due to a genetic disease and was forced to stop playing contact sports to protect his remaining eyesight. It wasn’t until he was twenty-two that he went completely blind as his retina detached from the eye. For most, this would’ve severely hindered their lives, and Pollock admits it did for a time being. He assumed total blindness meant no social life, no career, no work, no sports. But those assumptions faded as he quickly realized his capabilities through disability courses that helped him cope and move forward. It wasn’t long after that he acquainted himself with rowing, winning a bronze and silver medal in the 2002 Commonwealth Rowing Championship. 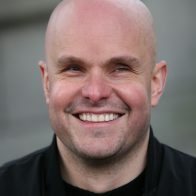 In 2003, he ran six marathons in seven days alongside a sighted guide in the Gobi Desert (China) to raise thousands of euros for Sightsavers International. A year later he ran the North Pole Marathon to celebrate his resilience on the sixth anniversary of his blindness. To tackle his tenth anniversary, he decided to race to the South Pole in the Amundsen Omega 3 South Pole Race. His team was one of six teams to finish and ranked fifth out of the total nine teams, making him the first blind man to race to the South Pole. To help inspire others he wrote Making It Happen, a book about the process of rebuilding your life with a disability. In 2010, a new tragedy left Pollock repurposing the lessons he wrote about. He fell from a two-story window and became paralyzed from the waist down. Since his accident, he has committed himself to living a prosperous and action-packed life. He continues with his pioneering spirit as the world’s leading test pilot for Ekso Bionic robotic legs. 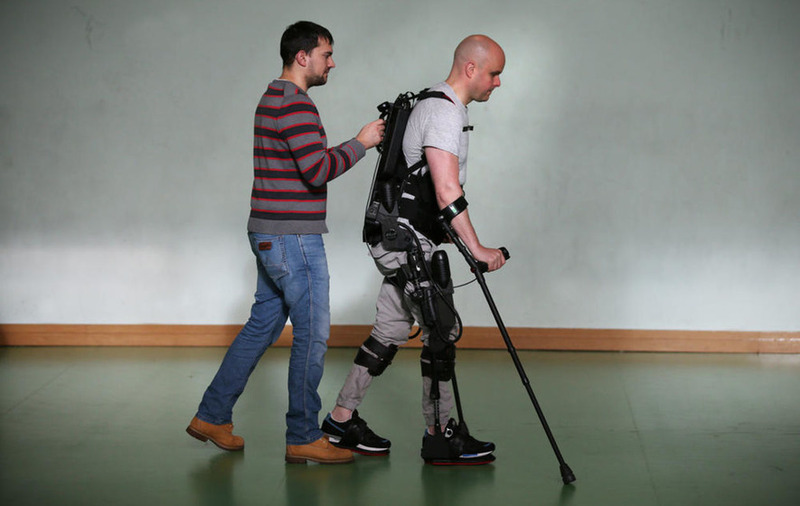 Using this technology, Mark has walked over 1 million steps and is able to feel sensations in his legs. When he first started, each step took about 15 seconds, but now he walks much more freely. In 2012, Pollock started the Mark Pollock Trust to bring together leaders from different industries to fast-track a cure for paralysis. The goal has been set at putting $400,000 yearly towards research and development to change the lives of the 60 million people who suffer from paralysis around the world and the 2.5 million people who specifically endure spinal cord injuries. He and his wife recently took the 2018 Global TED stage in Vancouver and was featured in their series “The Age of Amazement.” He travels the world speaking to organizations and companies about resilience, collaboration, and innovation.